How to Generate SSH Key? Step 1: Login to the cPanel that you want to connect to using SSH. Step 2: Under Security click SSH Access. 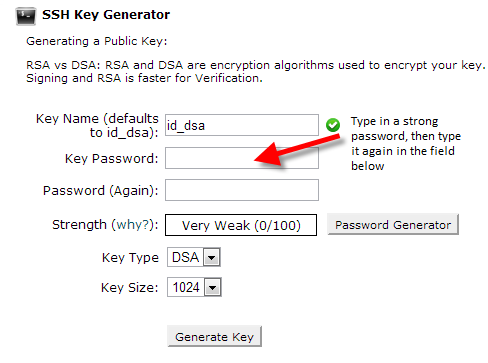 Step 3: Click the Manage SSH Keys button, then click in the field labeled Generate a new Key. Step 4: Type in a strong password, then click in the field below it and type the password again. Step 5: Click the Generate Key button, then you will see a Key Generation Complete! message. Click the Go Back button. Step 6: On the next screen click Manage Authorization. Step 1: Download and install PuTTYgen. Step 2: Login to the cPanel that you want to connect to using SSH. Step 3: Under Security click SSH/Shell Access. Step 4: Click the Manage SSH Keys button. Step 5: Under Private Keys click View/Download next to the Private key you want to use. Step 6: On the next screen click the Download Key button. Step 7: Open puttygen, and click the Load button. 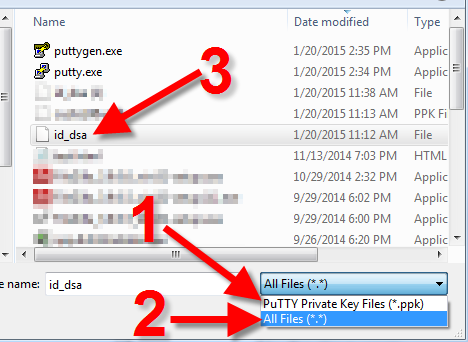 Step 8: Click the PuTTY Private Key Files(*.ppk) drop-down menu, annd change it to All Files(*.*). Then, select the id_dsa file you just downloaded, and click the Open button. Step 9: A box will pop-up asking for your Passphrase. Enter the password for your key, and click OK. Step 10: You will see a message stating “Successfully imported foreign key,” click the OK button. Step 11: Now click the Save private key button to download your private key file. Step 1: Download and Open Putty, under Connection click SSH, then Auth. Step 2: Click Browse under Private key file for authentication, then select the private key you downloaded in the last section, and click Open. Step 4: For the Host Name, enter your domain name, or shared IP address,then click the Open button to connect. 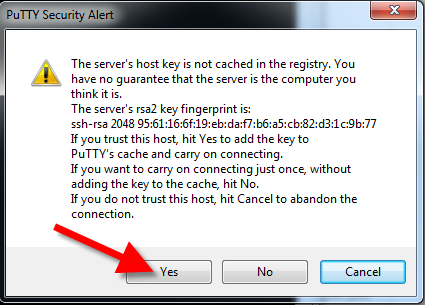 If you see a PuTTY Security Alert, click Yes. Step 5: You will see “Login As”. Please enter your cPanel username and then hit Enter. Step 6: Then, enter the password for your key file and hit enter. For security reasons, PuTTY will not show anything when you type your password, this is normal. You will then be logged into your account via SSH.